A 30-minute card using some of my favourite things: adhesive foil, alcohol inks, paint dabbers and grungeboard. It's just occurred to me that I didn't use Distress inks on there: That's a rarity! I was totally lacking mojo and on a very tight timeline as the birthday was, um, yesterday. So, I turned to Sketch Saturday for a layout and Tim Holtz (who else) for some inspiration. I used his September tag technique for the metal background and rubbed on (and off again) some black dabber to highlight some details. 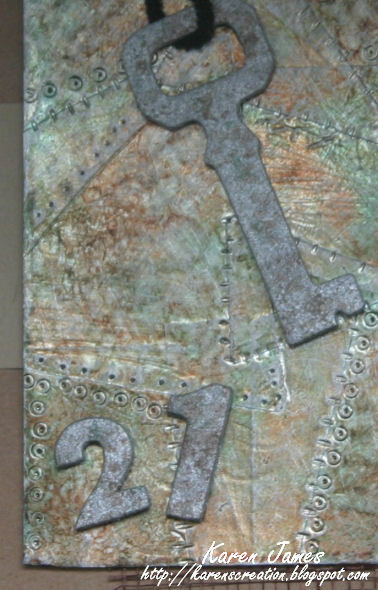 I then splodged silver dabber paint on to the grungeboard key and 21 pieces and then 'aged' them with a little more alcohol ink. I popped some black eyelets and pipe cleaner on, layered the pieces with 3D foam on to a kraft card with some metal mesh and another piece of kraft layered underneath. I'm so glad that AI and paint dabber is fast drying: It's now in the post! I love the patina colours of the Alcohol inks - bottle, ginger, hazlenut and copper - but I think the grungeboard looks more like aged metal than the metal does! As 'Rustification' is the current 'Simon says stamp & show' challenge, male projects at the ABC challenge and 'anything goes' at PaperTake Weekly (who are celebrating their 5th anniversary!) I'm entering this piece there too. Une carte j'ai fait en 30 minutes: Papier alu autocollant avec des encres alcool d'Adirondack en couleurs vert (bottle), noisette (hazlenut), gingembre (ginger) et cuivre (copper): Une technique expliqué par Tim Holtz sur son blog. La clé et le '21' sont 'grungeboard' peints avec Adirondack Dabber argente. Défis: 'Sketch Saturday' pour le croquis, PaperTake Weekly, projets masculins à ABC challenge et 'Simon Says Stamp & Show' pour le métal vieilli. 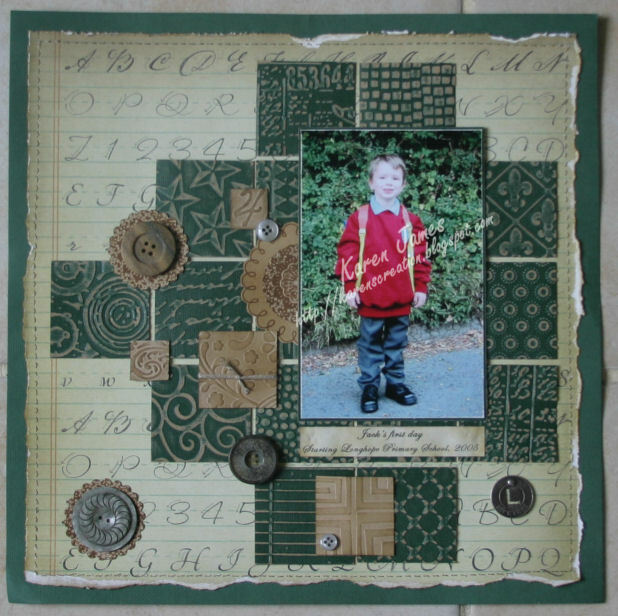 A 'back to school' page made with the association Tourc'h2Scrap who cased this page by Pat (with her agreement of course). This photo of my son, off to his first day at school in his over-sized uniform, always makes me smile. Voici une page, thème de la rentrée. Les filles à Tourc'h2Scrap, ont pris leur inspiration de cette page de Pat (avec son d'accord, bien sûr!). I took a page from the DCWV 'Timeless Type' which I ripped, distressed and inked then hand-sewed! I used the green page from Tim Holtz Kraft Core pad to cut lots of squares which were embossed with different sizzix and cuttlebug folders and then sanded to let the kraft show through. I then embossed smaller squares of Bazzill Kraft which I rubbed over and edged with Distress Ink. 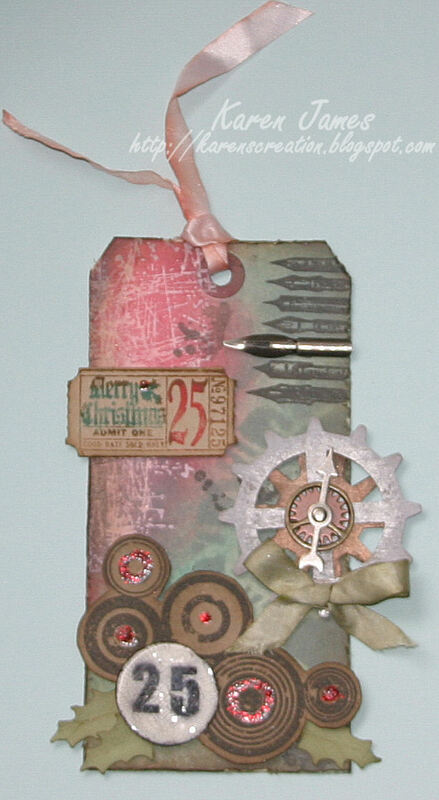 I stamped and cut a few scalloped circles and layered all the shapes with 3D foam and embellished with buttons, string and hanging a Tim Holtz Idea-ology Muse Tokens on a brad. Finally, I stuck the page on to the Bazzill background, hiding the thread and brad ends. J'ai pris une page du bloc DCWV Type Intemporel (Timeless Type) qui j'ai déchiré, encré et cousu à la main! J'ai utilisé une page verte du bloc Tim Holtz Kraft Core et découpé beaucoup de carrés et les embossé avec les classeurs de sizzix and cuttlebug avant de les frotter pour voir le kraft dessous. Egalement j'ai embossé les plus petits carrés du Bazzill Kraft qui j'ai encré avec du Distress Ink. J'ai tamponné et découpé quelques cercles festonnés et les collés avec la mousse 3D. J'ai ajouté des boutons, ficelle et accroché une Idea-ology Muse Tokens de Tim Holtz sur une attache parisienne. En fin, j'ai collé cette page sur une feuille du Bazzill à cacher les extrémités du fil et de l'attache. We bought him dinosaur-themed books so that dictated the subject matter! I started off with Basic Grey Archaic dino stamps but the skeleton style of those didn't seem suitable for a 3-yr-old so I turned instead to my old CuttleKids dies and cut the layers of the dinos and trees from them. Then I used the Sketch Saturday layout #221 and it all fell in to place! Also entering the Basic Grey challenge (anything goes) despite only using a bit of Basic Grey in the end! 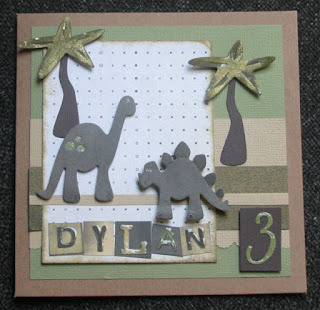 Used: Tim Holtz (Lost and Found) for the dinosaurs and writing; Bazzill cardstock and Basic Grey (Basics spotted paper) for the background layers; kraft card blank; glossy accents; Diamond Stickles; EK Success scalloped border punch; ColorBox chalk ink (Chestnut Roan); Perfect Peals Mist (Kiwi). 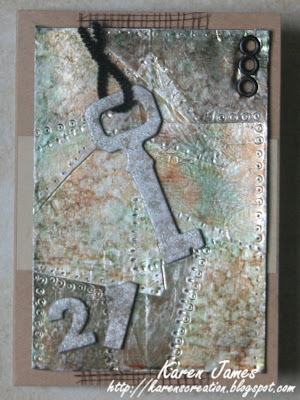 Tim Holtz's July tag is a patriotic one and I have made my French version: July 14th is the National holiday in France, the day in 1789 that the Bastille was stormed and celebrates France becoming a republic. I have kept my tag quite close to Tim's as I had the materials: One thing I didn't have was 'canned air' so I improvised with a bike pump and the nozzle that we use on the rugby ball! It would have been comical to watch me juggling those, pumping like crazy over the alcohol inks, but it worked! 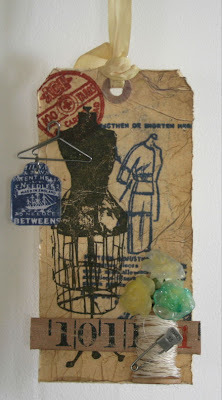 Layers of card, layers of inks: Entering Simon Says Stamp & Show challenge 'Layered'. I used: Kraft tag cut with the Sizzix Tag die; Kraft core cardstock; Glossy Cardstock, Alcohol inks - Water Melon, Sailboat Blue, Metallic Silver & Blending Solution; Distress Stain - Picket Fence, Broken China & Barn Door; Archival Ink - Jet Black; Hampton Art Stamps - Travel; Mirror card cut with Upon A Time Sizzix die; Tim Holtz Distress Tool and idea-ology - Trimmings, Muse Token, Adornments, Trinket Pins & Word Bands. 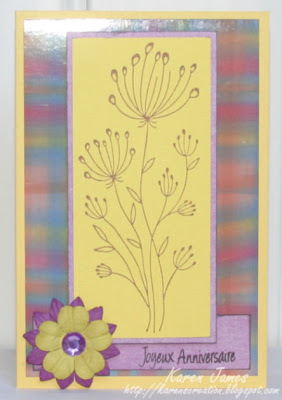 We were challenged by Linda for this week's GM (sponsored by Simon Says Stamp) to use Tim Holtz's technique to create plaid with alcohol inks. 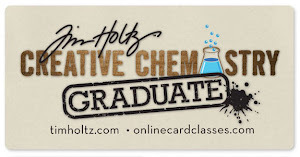 I used my results for the backgrounds on these quick cards. I'm not sure why they are so different in colour as they were made using the same inks but it is possible that in my "Where's the glossy paper hiding? ... Ah, found 2 pieces" moment that they weren't both the Ranger glossy paper I thought they were! other inks: Stazon (Jet black), Momento (Sweet Plum), Distress Ink (Black Soot); Cuttlebug embossing folder; Paper scraps: K&Co and GCD Studios; gems: Dovecraft and MME; flowers: Dovecraft. 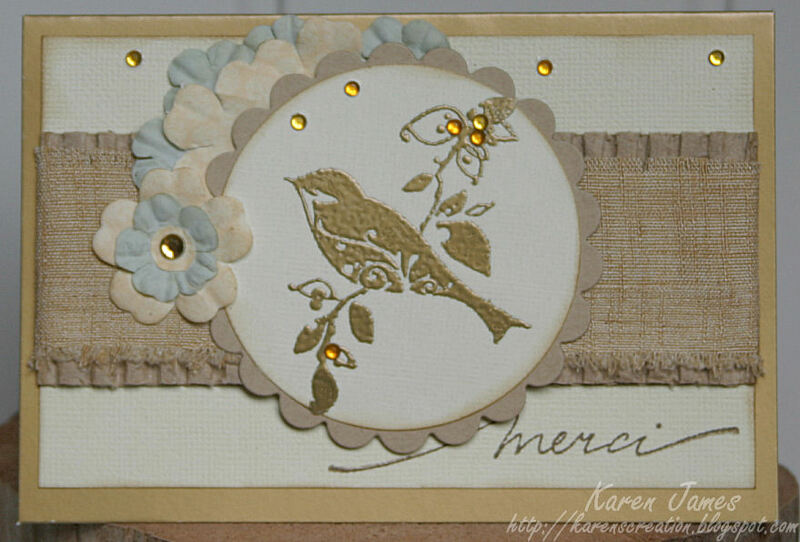 Used: Dovecraft gold card blank and cream card, recycled cardboard and piece of fabric, Inkadinkado stamp embossed in gold and cut with Nestabilities, flowers from Dovecraft Tea Party and Kaisercraft, text stamp by Aladine, inks: Walnut Stain Distress ink and ColorBox Chestnut Roan chalk ink. Layers of Perfect Pearls Mist on paper allowed to 'catch' overspray and also used to blot from a template used on another sheet: Part of a bigger piece created some time ago, I saved this bit for a card background. 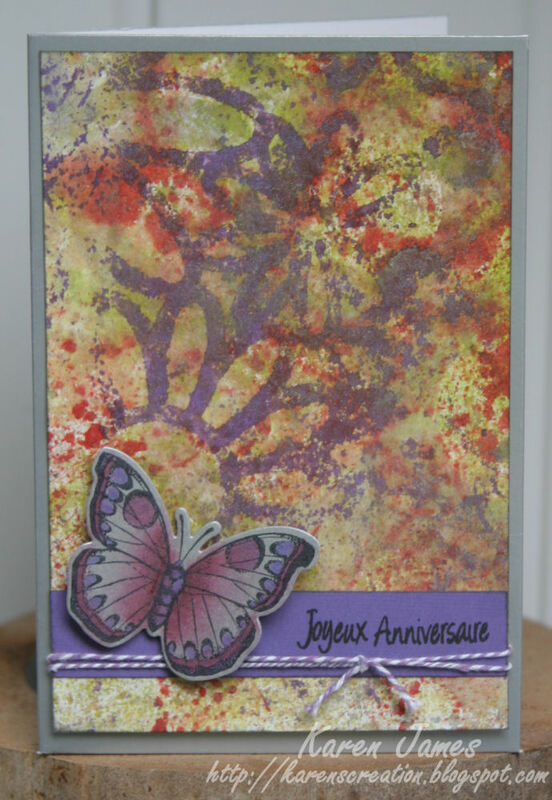 I added a band of purple Bazzill, text (compagnie des elfes) and twine (Dovecraft Tea Party) with a HeroArts-Sizzix Butterfly from the Butterflies #3 set. 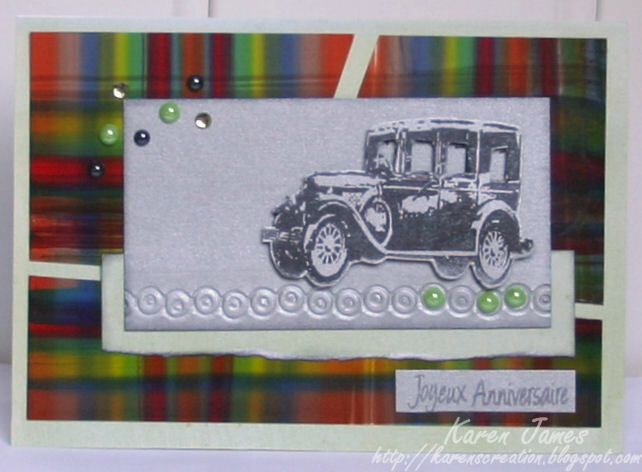 I love these stamp and cut sets: So easy! Literally using scraps of paper (K&Co ?) 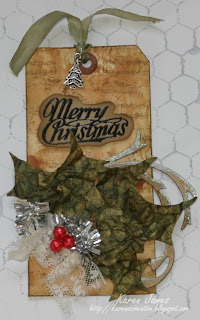 and card with Tim Holtz 'Bitty Grunge' stamps and Walnut Stain Distress Ink. Text stamp by Aladine. Look at all the women queueing to wish me a happy birthday! OK, I'm joking, but it was my birthday and my husband was very amused at people queuing to get in: Seemed perfectly normal to me! La ligne de femmes qui attendent pour le salon à ouvrir, et sur mon anniversaire aussi! I was delighted to see so many friends and customers, some I met in person for the first time. After the stress of preparation and setting up, I spent 4 happy days chatting about the shop site, demonstrating some techniques, discussing products and new releases and, of course, selling lots. On-line is great and very convenient but I love the direct contact with customers. Some folk have already been back in touch with orders or commented on the photo on the Facebook page: Thank you for all the support ! J'ai été ravi à voir beaucoup de mes amis et mes clients, certains qui j'ai rencontré en personne pour la première fois. Après tout la préparation et installation, j'ai été très heureux dans les quatre jours à discuter le site de la boutique, les produits, les nouveautés, faire les démonstrations, et, oui, vendre aussi. Certains de vous a déjà fait une commande cette semaine ou me laissé un commentaire sur Facebook: Une grand merci à tous et particulièrement à mon mari et mon fils et mes amis, Karine et Anne, qui m'ont aidé sur le stand. Here's another photo of one corner of the stand: We were still setting up so I wouldn't let my husband photograph the unfinished other parts! Voici une photo d'un coin du stand: C'est le jour d'installation donc mon mari été interdit de prendre les photos d'autre murs! 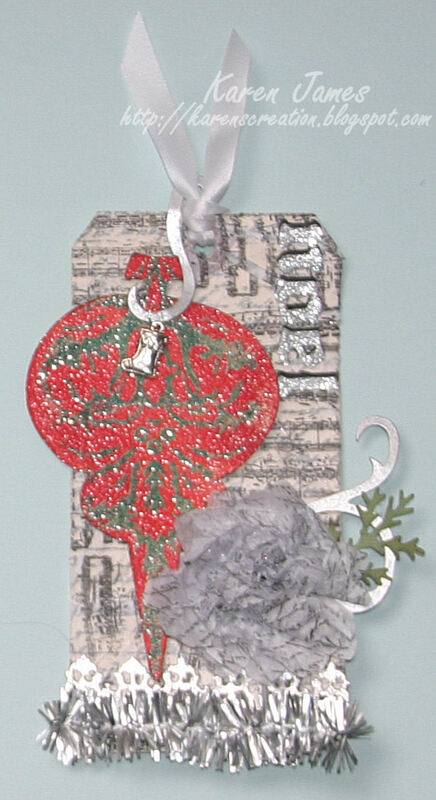 This is my second card using the new Dovecraft 'Tea Party' papers, stamps and embellishments. I used the sketch on Stamp with Fun for the layout. 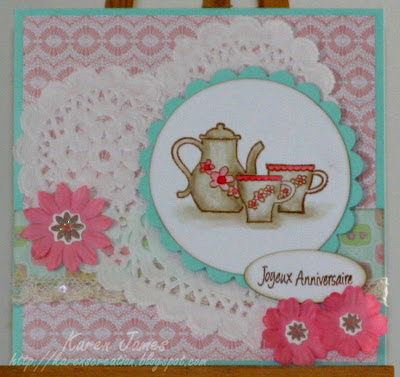 Used: Trimcraft card; Tea Party: papers, stamps, doily heart, stickers; Basics III Blossoms, Nestabilities Circles, Scallop Circles and Ovals; Archival Ink (Sepia); Distress Inks (Frayed Burlap, Tattered Rose, Festive Berries) and lace from stash. Challenges entered: Stamp with Fun: sketch; Creative Stamp Friends: inspired by a song: "Tea for Two"; Crafts & Me: Lace: Creative Inspirations: Anything goes; PaperPlay: Something old (lace, text stamp and card), something new (Tea Party collection). Ma deuxième carte avec le nouveau collection 'Tea Party' de Dovecraft: Prochainement sur le site. 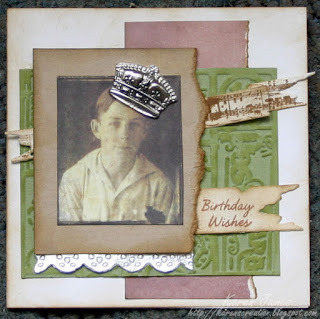 The Grungy Monday #37 challenge over at Linda's Studio L3 blog is to create wearable art Tim Holtz style and the theme at Simon Says Stamp and Show is Tim's idea-ology. 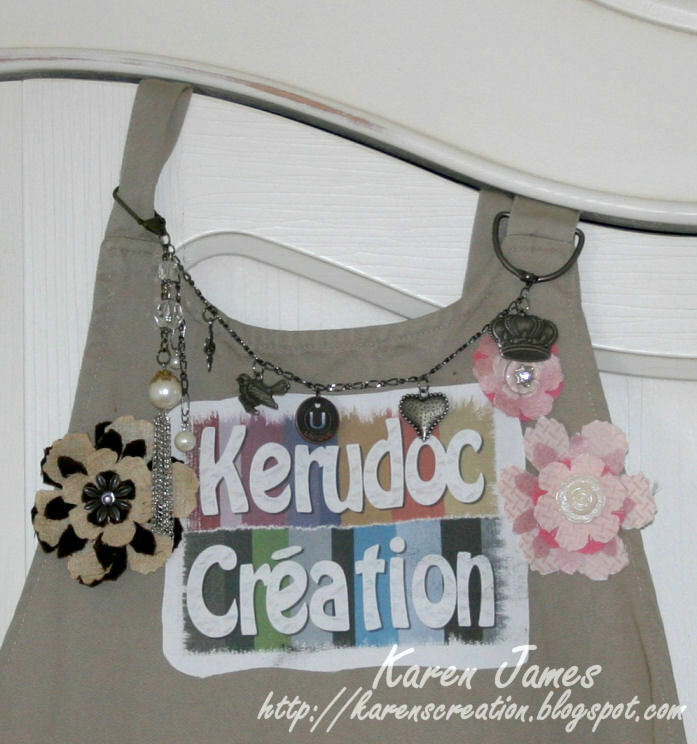 So, I decided to decorate my apron. With a craft fair about to start on Thursday, I started by printing my logo on to Studio Sticky-back Canvas and then decorating with fabric flowers cut with Tim's Tattered Florals die and lots of ideaology: 'Lace Chain', Baubles, Book ring, Foliage, Swivel Clasp, Jump Rings, Accroutrements, Adornments, Muse Token and Mini Paper Clips. I shall wear it with pride! 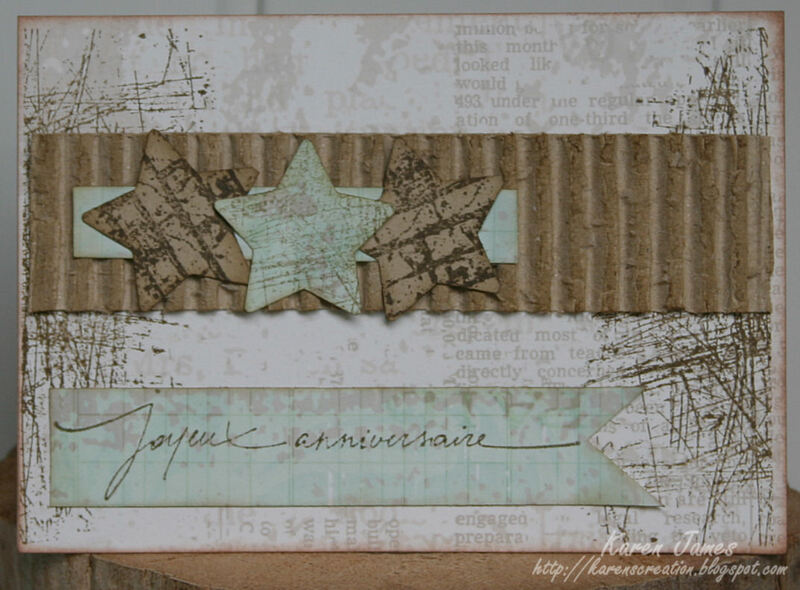 La défi 'Grungy Monday #37' chez Linda du Studio L3 est de créer l'art portable en style de Tim Holtz et le thème du défi de 'Simon Say's Stamp and Show' est l'emploi des produits idea-ology. Alors, j'ai décidé de décorer mon tablier. Je ferai le salon Creativa Brest au 8 à 11 mars donc, au début, j'ai imprimé mon logo sur le tissu auto-collant 'Sticky-back Canvas' et enlevé le papier à le coller sur mon tablier. A faire le décoration, j'ai ajouté des fleurs découpé avec la matrice de Tim 'Tattered Florals' et beaucoup de idea-ology de Tim: 'Lace Chain' chaine, Baubles, Foliage, Swivel Clasp, 'Jump Rings' petits anneaux, 'Accroutrements' boutons, 'Adornments' breloques, 'Muse Token' breloque, 'Mini Paper Clips' trombones. 'Tea Party' is the new collection of papers from Dovecraft and, as I received them on Thursday, I had to have a play! I have been spending so much time pricing and packing and planning for the craft fair (Creativa Brest, France) starting on Thursday that it was nice to come up for air and make a quick card. 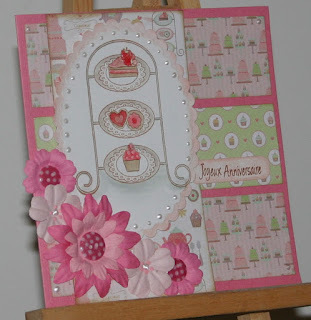 I used the Sunday Stamp and Sketch layout with Tea Party papers, stamp and buttons with Basics III Blossoms. The image is stamped with Archival Ink (Sepia) and coloured with Distress Inks (Tattered Rose, Festive Berries, Iced Spruce, Frayed Burlap, Shabby Shutters) and details added with Liquid Pearls, Glossy Accents and Studio Paint mini (painterly pink): See the little dots of pink on the flowers and bottom cake? It's one of my favourite things at the moment: I have some large tubs of the Studio paints (by Claudine Hellmuth for Ranger) but I love how easy it is to add little dots of paint with the Studio minis. 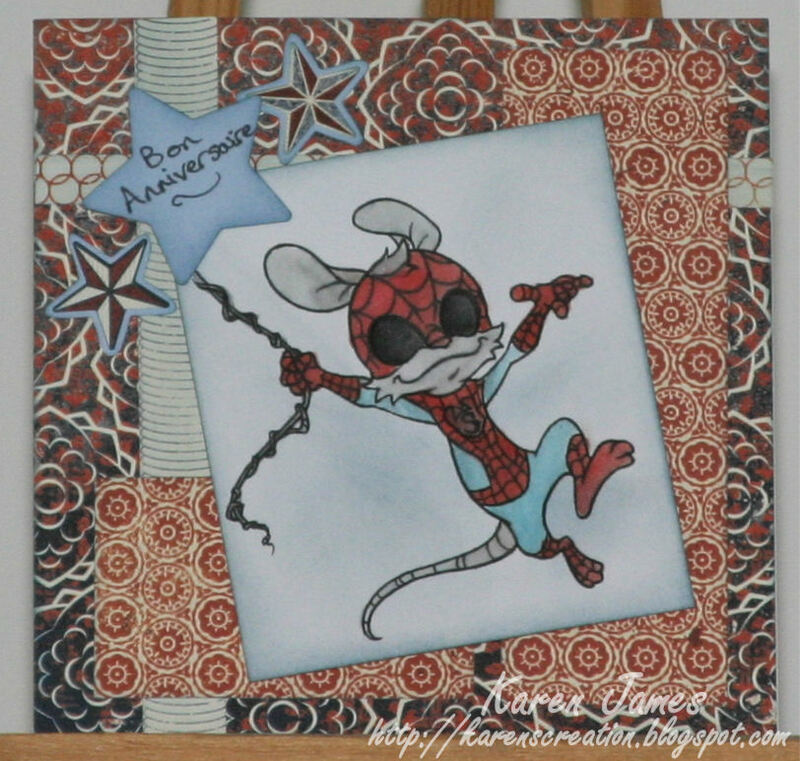 It has been ages since I last used this digi-stamp 'SpiderHenry' from Whiff of Joy but it always makes me smile. I was reminded of him when my son, who is now 11 but has inherited my hoarding tendencies, had to admit that he was never going to wear his spider-man outfit again: He's out-grown it in sooo many ways! So here is SpiderMouse, painted using a waterbrush and Distress Inks (Fired Brick, Tumbled Glass, Pumice Stone, Black Soot) and edged with DI Stormy Sky, layered on Basic Grey 'Boxer' papers. Challenges: Basic Grey: Star; Saturday Sketch #196; Cupcake Challenges: Boys and their Toys; Crafts 4 eternity: Digital delights. Oh my poor neglected blog! I have been up, down, and sooooo busy: I have tons of art to share. 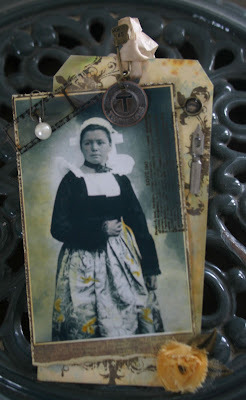 For today, before I completely miss the deadline (again), here is my entry for the Grungy Monday challenge hosted by Linda to make an ATC* celebrating all things Tim Holtz. 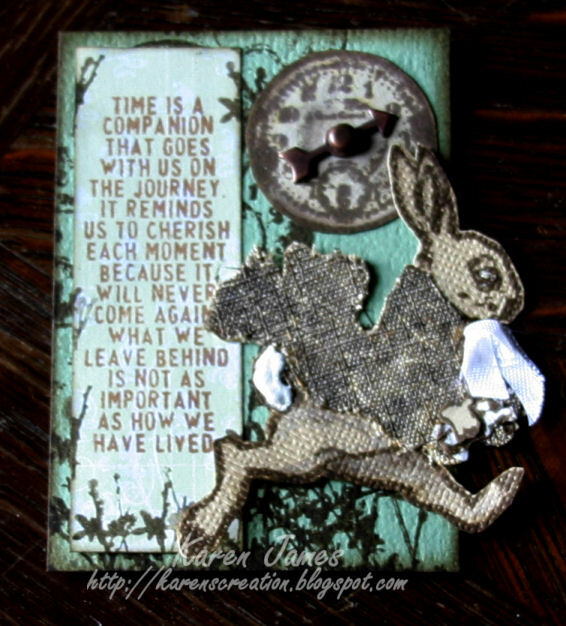 I think this is only the 2nd ATC I ever made and it is destined to become a card topper some day soon! I have used Tim's stamps with Archival ink Sepia and Adirondak ink Espresso including on some fabric and some paper towel and, next thing I knew, there was a whole paper piercing thing going on using these different layers and a scrap of white ribbon. I added a glossy accent eye and a snow déco tail plus a little idea-ology game spinner and voila! Cette fois le défi 'Grungy Monday #35' nous démande à créer une carte d'echange (ATC de 6,3 x 8,9 cm) avec les matériels ou techniques de Tim Holtz. Voici ma carte y utilise ses tampons et embellisements avec les encres Adirondack (Espresso) et Archival (Sepia). The Grungy Monday challenge #31 is to make a card for the king of craft, Tim Holtz, whose birthday is 7th January. 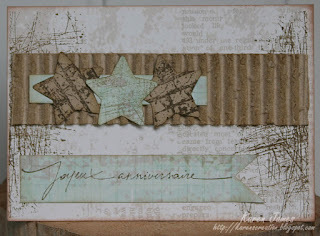 Une carte pour le défi Grungy Monday à célébrer l'anniversaire demain du 'roi créatif', Tim Holtz. Presqu'à toutes les matériels j'ai utilisé étaient dessinés par lui: les matrices, papiers, classeur d'embossage, l'encre Distress... génial! I used the Sketch Saturday #188 for my layout and, in their grungiest of shades, the red, cream and sage green combo of the Colour Create challenge. 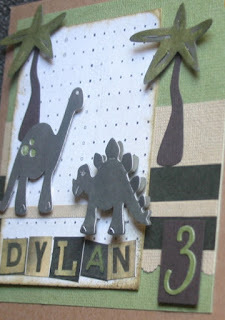 Also used a white card blank, green card and brad by Dovecraft and Bazzill kraft. 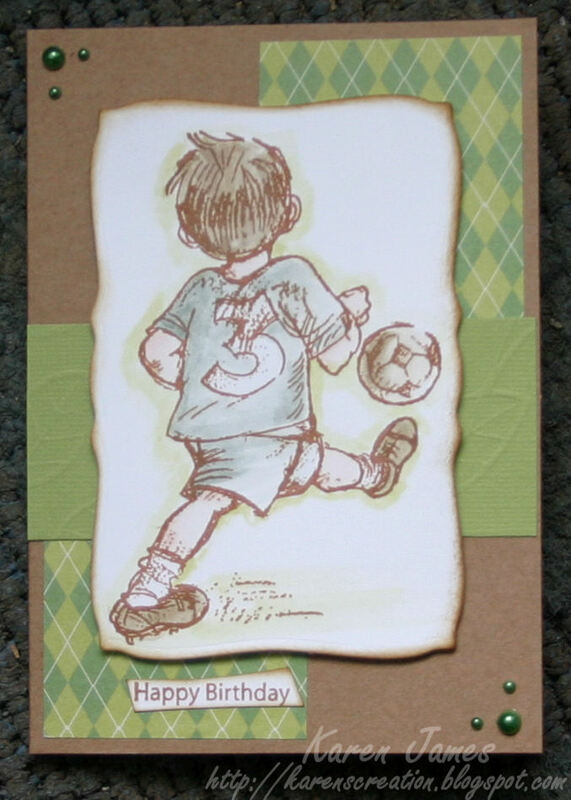 In trying to get some cards made in advance of when I need them - rather than the usual last minute rush - here is a simple birthday card combining challenges Sunday Sketch and Stamp #87 and ABC challenges 'G for Green'. Une carte d'anniversaire, tout simple et rapide: L'image, tamponné avec Archival Sepia, et coloré avec l'encre Distress et un pinceau avec le réservoir d'eau, et découpé avec les Nestabilities. J'ai utilisé les chutes des papiers et du Bazzill sur une carte kraft créé avec le papier recyclé: Tous vert - le couleur, et pour la planète! I used a couple of old stamps (PaperMania), coloured the image with Distress Inks (Shabby Shutters, Frayed Burlap, Tattered Rose and Stormy Sky) and a water-filled brush then cut it out with Nestabilities Curved Rectangles and edged it with Vintage Photo Distress Ink. I mounted this, with a few scraps of paper and embossed Bazzill card, on to a kraft card blank (made using recycled paper so it's 'green' in more that sense too) and added a few green pearls. I wouldn't normally gift something with photos of myself but over Christmas we visited an elderly friend who we hadn't seen in a year. She had said on the phone how much she missed me since we moved to France so, as I know she uses a calendar and being stuck for other ideas, I used this Basic Grey calendar kit to create her gift with photos of me with my husband and/or son. J'ai utilisé un kit calendrier chez Basic Grey à créer un cadeau : Petit souvenir de nous qui traverse la Manche! 'Tim Tags' #4 - Tags, techniques and more! Here are the last of the tags, following the tags of Tim Holtz, that I created at the end of last year: Tags 7, 8 and a mix of 9 & 12. These formed the basis of a second workshop to share the techniques and materials created and shared originally by Tim and others. My version of Tim's tag 8 is less 'Steampunk' than his and includes for the ticket a technique using Cut'n'dry felt that Tim shared last year and again on Tag 3 this year. The third tag shown here takes inspiration from Tim's tag #12 for the background and tag #9's background 'double embossed technique' for my bauble. 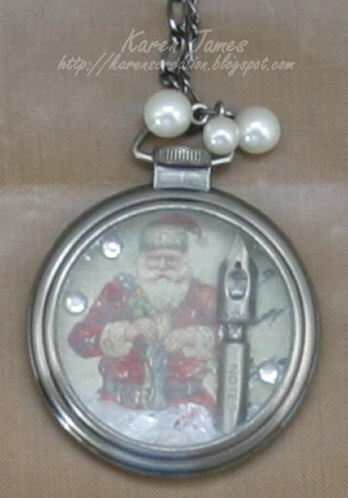 There are explanations of the techniques on Tim's blog and also extra examples to check out such as his pocket watches included under tag #8. I fell in love with those so here is my version that I have been wearing all over Christmas! 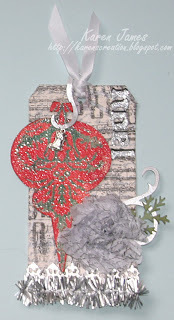 Materials used for the tags: manila tags, Distress Inks (various colours including the limited edition Winter 2011 colours); Tim Holtz stamps; Paint Dabber (gold, snow cap white, silver, copper) paper distresser tool; ribbon; Sizzix dies: Festive Greenery, Elegant Flourishes, Gadget Gears, Ornaments, Upon a Time and Vintage Lace; Alcohol inks (citrus, bottle, gold mixative, blending solution, watermelon); Tim Holtz kraft glassine paper; Stampendous black embossing powder; Archival, Stazon and Versafine inks; Cosmic Shimmer silver mist; Hero Arts large flourish stamp; idea-ology sprocket gears and pen nibs; Cut'n'dry mousse and felt; plus charms, beads, lace and tinsel from my stash. 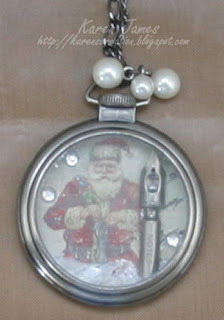 Materials for the pocket watch necklace: Tim Holtz idea-ology pocket watch, lace chain, pen nib, tissue tape and baubles and Tim Holtz Seasonal papers with some sticky gems and mica flakes.